The entire NPT Valve section is Discontinued : Call us to advise you on a similar product. 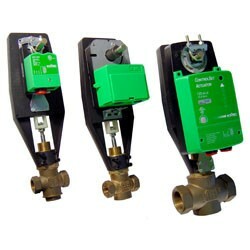 Electonic 2 & 3 Way Valves There are 25 products. Discontinued: NPT Globe Valve, 3 way, 1 po., CV=11,6, actuator 0-10vdc, 24Vac, KMC Controls. Discontinued: NPT Globe Valve, 3 way, ¾ po., CV=6,9, actuator 0-10vdc, 24Vac de KMC Controls. 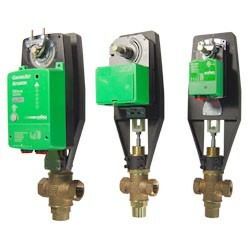 Discontinued: NPT Globe Valve, 3 way, 1 po., CV=11,6, actuator 0-10vdc(N), 24Vac KMC Controls.